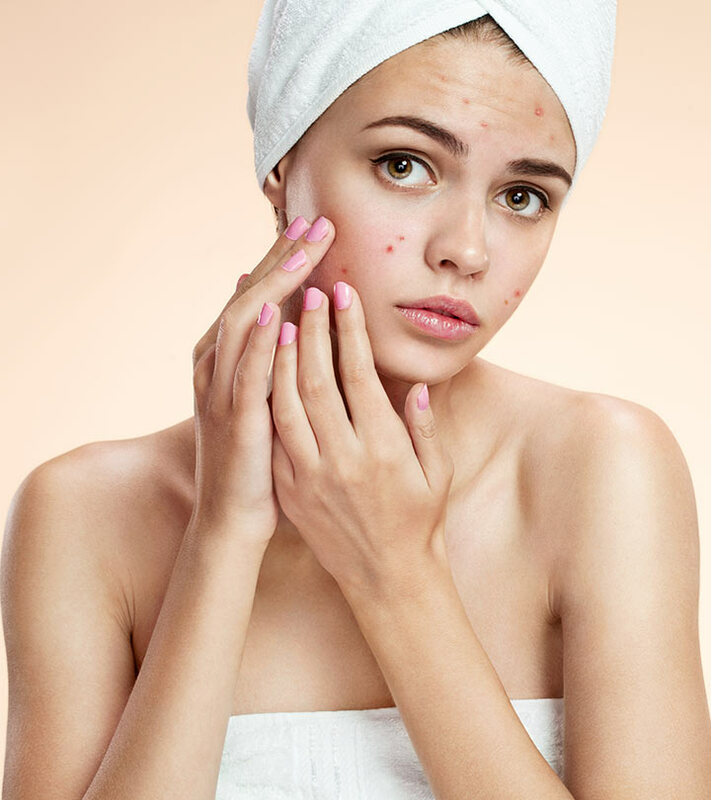 If acne is a recurring issue in your life, it’s time you learn about the different types of acne to treat the problem from the roots and achieve clear skin. It is important to identify the type of acne you are suffering from because each type is distinct and requires a different treatment. This article will serve as the ultimate guide to identify every type of acne and treat it. Read on! Before we proceed, let’s take a look at the types of acne. Blackheads (or open comedones) are types of acne that are extremely common and usually seen around the nasal area. They are tiny black lumps on the skin formed as a result of blocked follicles. These black lumps are formed when bacteria, dead skin, and other harmful substances clog the follicles and reach the surface. They react with the oxygen in the air and cause blackheads. Steam your skin to loosen the blackheads. Exfoliate your skin gently in circular motions and follow with an alpha-hydroxy moisturizer. Whiteheads (or closed comedones) are white spots on the skin that are, in fact, oil glands. Excessive oil production causes clogging of the glands. As a result, the oil cannot reach the surface and is trapped between the skin layers, resulting in whiteheads. Whiteheads commonly appear on the nose, chin, and face. Wash your face 2-4 times a day to keep it fresh and free from excess oil. Apply baking soda paste on the whiteheads for a few minutes and rinse your face on a regular basis. Sebaceous filaments are formed when excess sebum and dead skin cells accumulate around your hair follicles. They occur as grey dots on your nose, upper lip, cheeks, and forehead. Sebaceous filaments are smooth in texture and are hardly visible. They can be found mostly around the nose. Apply multani mitti once a week to control sebaceous filaments. Take a tablespoon of multani mitti and mix it with rose water. Apply the paste to your face and keep it on for 20-40 minutes. Rinse and pat dry. Papules are flat red bumps that are inflamed and appear as small red dots or bumps on the skin. In some cases, these might be sensitive to touch – hence, refrain from picking on them as doing so can cause scars. Tomato is an excellent remedy for papules. Wash your face and pat it dry with a clean towel. Apply tomato juice to your skin and leave it on for 30 minutes. Rinse with lukewarm water. Pustules are inflamed acne that is hard to touch. They are red bumps filled with pus that occur on the face, back, shoulders, breastbone area, groin, and the armpits. They primarily originate in the sweaty regions of your body. Refrain from picking or bursting them – as doing so can lead to permanent scars or dark spots. Aloe is a great way to treat pustules. Either crush a fresh aloe vera leaf and extract the gel or buy aloe vera gel from the nearest store. Apply it to your face before going to bed at night. Rinse your face in the morning. Nodules are tender, hard lumps that are larger than papules or pustules. A nodule is a painful and an inflamed bump that contains pus and is hard to touch. Apply a small amount of strong benzoyl peroxide or salicylic acid to the nodules to dry out the oil trapped in them. A cyst is a soft lump that is deep, big, and filled with pus. It has a sac-like structure and is quite painful to touch. Also, these cysts vary in size. Cysts are removed clinically. They are drained using a needle and examined for the presence of cancerous cells. There are also other types of acne you must know. It appears as red rashes on the nose, cheeks, and chin. It is characterized by tiny red pimples, pus-filled bumps, and visible blood vessels. Apply natural coconut oil to the rosacea. Gently rub it into the skin until it is absorbed. You can either cleanse your face with the coconut oil or use it as a moisturizer. This type of acne is seen in young men. Acne fulminans can also cause fever and joint aches. The condition can be very severe and leaves scars on the skin. You need to consult your dermatologist if you suffer from acne fulminans. Do as directed by your doctor who might prescribe anti-inflammatory medicines and oral antibiotics. This is the severest type of acne that is seen in both males and females. It appears as a large lesion on the skin that is interconnected and usually affects the chest, upper arms, face, thighs, and buttocks. Acne conglobata is a rare type of acne that often leads to skin damage and permanent scars. Consult your dermatologist if you suffer from acne conglobata. He/She might recommend isotretinoin and certain other steroids. Emotional support also plays a huge role. 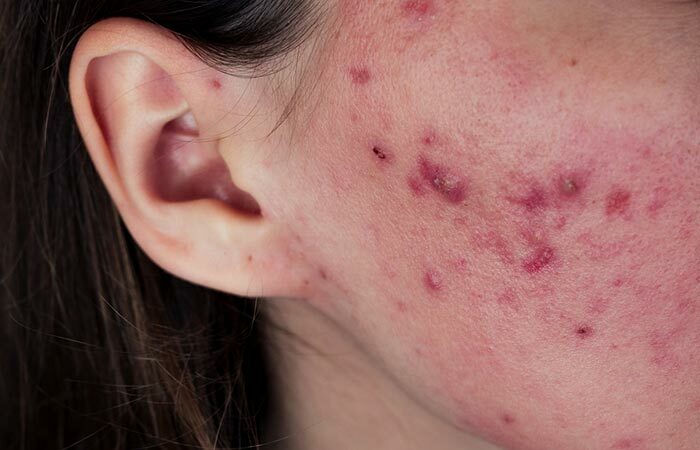 This is a severe type of acne and a combination of nodules and pustules. It occurs among women between the ages of 20 to 40. You need to be under the care of a dermatologist if you suffer from this problem. Pyoderma faciale is usually treated with the help of antibiotics and isotretinoin. It is an acne disorder caused by infections. It is a massive rash-like acne that usually occurs on the nose, chin, and cheeks. Specific treatments are recommended by your dermatologist based on the severity of the problem. It originates as a result of excessive heat and friction between the skin. It occurs in people involved in sports or those who wear helmets, caps, or sports gear for prolonged periods on a regular basis. It appears as small comedones or inflated papules and pustules. Benzoyl peroxide (which is available in the market) cures mild acne mechanica. Buy cleansers and moisturizers containing benzoyl peroxide and use them daily to treat the problem. Now, let’s find out about the grades of severity of each type of acne. Also known as ‘flat’ acne, mild acne is noninflammatory and does not cause much trouble. Blackheads (open comedones) and whiteheads (closed comedones) fall under Grade I, and they can be treated with simple home remedies. Moderate acne is inflammatory acne with slight swelling and blemishes appearing all over the face. Papules (red bumps) and pustules (white blisters) are moderate acne that need regular cleansing treatments to curb the problem. Nodulocystic acne leads to acne scarring. It ruptures your skin, thereby affecting its texture. You notice excessive inflammation and deep infection in Grade III acne. Nodules and cysts that appear as lumps under the skin are nodulocystic acne. Consult a dermatologist and get your nodulocystic acne treated accordingly. Severe acne causes deep scarring and results in large blemishes on your face. Acne conglobata and acne fulminans are severe types of acne that predominantly occur in adolescent males. Grade IV acne is extremely painful and crusty and bleeds profusely. It occurs on the back, chest, and neck. 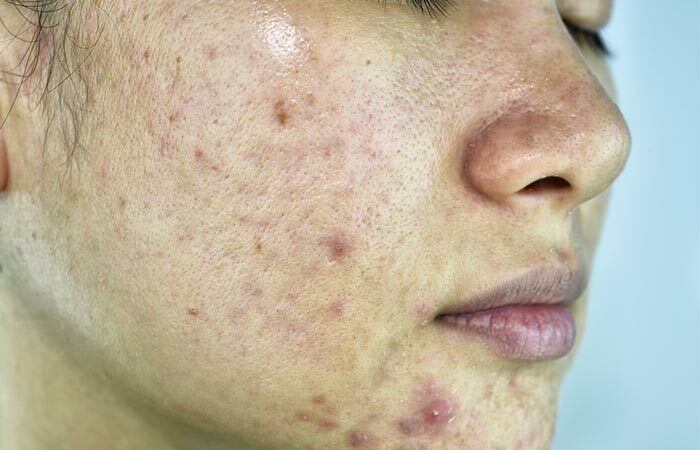 This type of acne can also cause joint pain, fever, enlarged liver, and spleen. Severe acne could occur due to the intake of medical drugs such as testosterone, anabolic steroids, and oral isotretinoin. It needs treatment and care under the supervision of a dermatologist. Knowing what type of acne you suffer from comes in handy when you need to find the correct treatment for it. So, it is best that you keep in mind the types and grades of acne mentioned above. Also, tell us how the treatments have worked for you. Simply leave a comment in the box below. 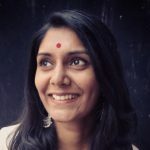 Does acne occur as a side effect of another treatment or surgery? Yes, it does. Drugs like anticonvulsants, corticosteroids, DHEA, lithium, barbiturates, and medications containing bromides and iodides can cause acne. Does diet play an important role in acne occurrence? Yes, diet plays a vital role in acne occurrence. Excess consumption of fried or oily or junk foods can increase the risk of acne.